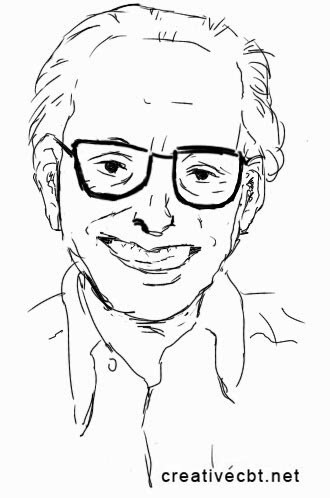 Some more sketches - I tried drawing Albert Ellis - the founder of rational emotive behaviour therapy (REBT). At first it came out a little younger than my reference picture. 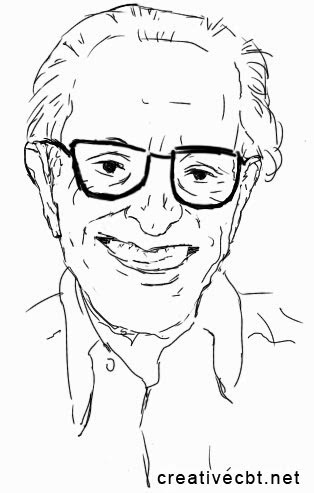 I'm mostly trying to draw without constantly checking references - trying to do more from memory or feeling - of course this distorts the image - perhaps idealising it slightly. Then I decided to be truer to the reference image - make the nose wider, the chin bigger, the ears longer - add the hearing aid. I think I prefer the idea of drawing less from reference though - as even though it is less accurate, it offers the possibility of something slightly different. Something newer. Something more based on feeling and creativity. I'm hoping to do more sketches soon, and then maybe try doing some coloured paintings - something more expressive. I'm really enjoying sketching on my new Galaxy Note II.